I feel privileged as I pen my heart down. Being a part of the cabinet of this institution is really a scintillating opportunity as this institution has shaped me into what I am today and made me apt enough to achieve whatever I aspire for in the near future. I remember the words of our dear sister principal who told us that a leader is someone who knows the way, goes the way and shows the way. Hence leadership is not at all about giving orders rather it’s all about inspiring others to walk on the path of truth and service with discipline so as to achieve everything. For achieving anything in life the first and foremost thing that you need to do is to believe in yourself and your vision. It is very important to have clarity in your life about what you really want to do in life. For this you need to first overcome your fears as nowadays dreams of people are mostly shattered because of the fear of “what could happen” and hence making nothing happen. For me FEAR means face everything and rise and that’s what we all are here to do. To live up to your dreams you need to face everything and keep going on. With the blessings of almighty god. I am glad to have this opportunity of serving this institution as a school vice captain for the academic year 2017-18. I would like to thank Sr. Principal for showering this great joy upon me. And I promise that in the working of our school council no duty will be left due. Studying in this institution is a pride but serving this institution is a dream comes true. 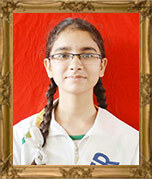 With full determination and sportsmanship I promise to fulfill my duties and follow the school norms. I and my team will contribute generously in the growth of Sacred Heart Convent Sr. Sec. School. I take this moment to thank my teachers who always had faith on me and always guided me towards the path of truth and hard work. For my friends I would like to say that "PEOPLE WILL FOLLOW YOU IF YOU ARE A GOOD GUIDE. YOU WILL BE A GOOD GUIDE IF YOU DREAM WIDE “so always follow your dreams and dream wide in your precious life. A nation is truly known by the welfare of its children. When taken care of with compassion they bring their nation to the forefront. 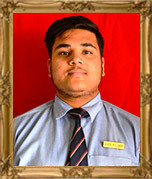 It is indeed a great honour for me to be elected as head boy, sacred heart convent sr. sec. school, Jagadhri for the academic session 2016-17. It is an opportunity to hold high the glorious flag of our school. 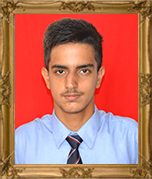 It gives me immense elation to work for my school as head boy. I commit myself to the rules and regulations of our school and also follow the school motto “for truth and service.” I believe if you truly want to change your life, you must first be willing to change your mind. If this thought is brought into practice by everyone, then the day will not be far when our school will rank first Internationally. With the spirit of team work I wish to enhance the discipline and the pride of my school . With whole hearted support of the student council this can be easily achieved. I take this opportunity to thanks all my teachers who have made my path to be a leader so smooth,yet if I fall they will be there to support me. With conviction and determination let us all come together for Truth and Service and make our school the best. 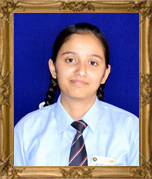 It is indeed a great honour and privilege to be appointed as the Headgirl of my dear Sacred Heart Convent Sr. Sec. School. I would like to express my sincere gratitude to Sister Tesvin and the members of staff for having faith in me and considering me capable of taking up this responsibility. I know it will be challenging but at the same time remarkable year for me and requires a lot of sacrifice and hardwork, diligence and tolerance. School is a temple of learning where students are involved in a continues learning process. The prime of my life has been spent in this prestigious institution . It is the pride of the twin city. Tech Savy generation of ours never feels left out when we study through Digital teaching system Not only the parental care ,teachers care we also enjoy the e-Care and remain in touch of the school. Being the head girl I am really proud of my school and my school is proud of me.